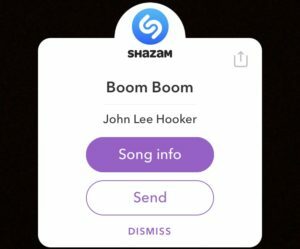 Shazam, a mobile app that recognizes music played and lists the song once it finds it, is now integrated into the Snapchat app. This is a hidden feature that not many people know about but is oh so useful. Therefore, in this article, I’ll be telling you more about the feature and how you can use it. The feature is both available on Android and iPhone. Shazam, which is one of the world’s most popular apps, has now partnered with Snapchat to bring Snapchat users directly to their service without having to hop between the apps. The Snapchat app will listen to the nearby audio, and then let you send the recognized song as a snap to friends. You can send it to 16 friends at a time. 1. Make sure you’ve updated your Snapchat app to the latest version. 2. 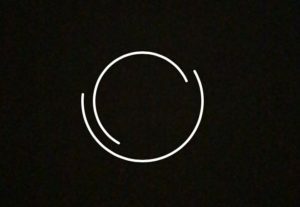 Once the app is updated, launch your Snapchat app and go to the main screen – which is the camera screen. 3. Tap and hold on the screen when inside the camera interface to start Shazaming (searching for the song that is playing). This pop-up will let you know what song is playing and who has made it. 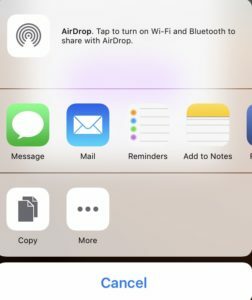 If the information displayed is not correct, tap “Dismiss” to cancel and you can then try again by repeating the steps above. If the audio is bad, Shazam might not be able to recognize the song. When the feature has found the song that was playing, you’ll have access to a ton of information. Tap “Song info” and you’ll get redirected to a new Shazam page with the name of the song and the artist. From here, you can slide up on the screen to listen to the song, find lyrics (if available), watch videos of the song, see recommended songs based on the find and listen to the song on Spotify or Apple music (if you’re an iPhone user). 6. You can also send the find to your Snapchat friends and post it to your Story. If you decide to send it to your friends, it will appear in your chat and they’ll be redirected to the same screen as above (but with a different song of course). Bonus: You can also tap the symbol in the top right corner (as seen below) to get access to more choices such as emailing the song, messaging it and putting it in your notes. Songs that you’ve Shazamed appear in Snapchat’s Settings. To see your Shazamed songs, go to settings, find “Shazam” and tap it. Here you’ll find a full list of all your Shazamed songs. tips for rookie blog writers? I’d definitely appreciate it.